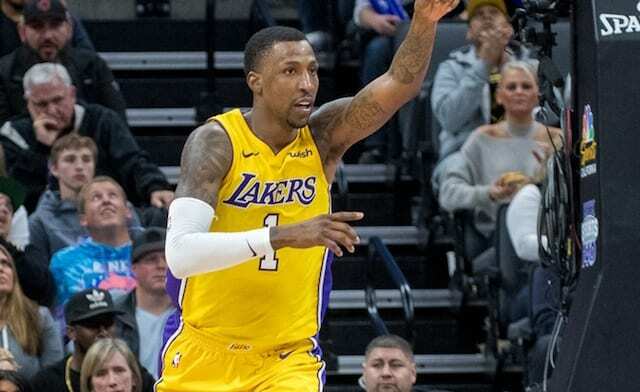 Behind 17 points from Kentavious Caldwell-Pope in the third quarter, the Los Angeles Lakers erased their deficit and hung on to beat the Sacramento Kings, 113-108. Caldwell-Pope finished with a game-high 34 points, matching his career high with eight 3-pointers. Despite playing on the second night of a back-to-back, the Lakers had good energy for much of the game. But they fell into trouble because of a failure to close out the first and second quarters on a positive note. After a 5-0 run trimmed their deficit to just three points, the Lakers failed to contain Buddy Hield and found themselves trailing by eight points at halftime. Caldwell-Pope spearheaded an 18-5 run in the third, giving the Lakers a 75-72 lead. They outscored Sacramento by 12 points in the quarter to take an 87-83 lead into the fourth. The Kings made a surge to briefly take the lead but the Lakers answered with a 6-2 run. 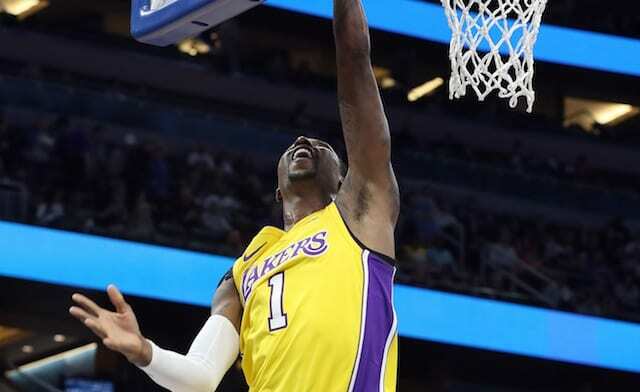 Kyle Kuzma’s 3-pointer gave the Lakers some breathing room with less than three minutes remaining, and it was the team’s 17th of the game which set a season high. As the Lakers mounted their run, the Kings went through a stretch where they missed 13 of 14 field goals. Facing the team that selected him with the last overall pick in the 2011 Draft, Isaiah Thomas scored 17 points, to go along with two rebounds and four assists. Thomas made a pair of free throws that proved key because it was followed by Bogdan Bogdanovic converting a four-point play. Thomas then knocked down another set of free throws that gave the Lakers their decided lead. After a Bogdanovic missed layup, Josh Hart’s two free throws iced the game. Bogdanovic and Hield tied for the team-lead with 21 points, while Willie Cauley-Stein had 18 points, adding team-highs 15 rebounds and two blocked shots.